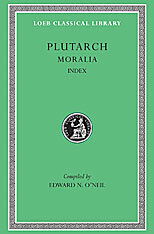 Plutarch’s Moralia, moral essays reflecting his philosophy about living a good life, is a treasury of information concerning Greco-Roman society, traditions, ideals, ethics, and religion. But access to the riches of this collection of over seventy essays has long been hindered by lack of any comprehensive index. This problem has at last been solved: the Loeb Classical Library edition of the Moralia is now brought to completion with an analytical index volume. Renowned as a biographer because of his Parallel Lives, Plutarch (born about 50 CE) was also a teacher of philosophy in Rome, a priest at Delphi, and an engaging essayist with a warm, urbane, and judicious style. 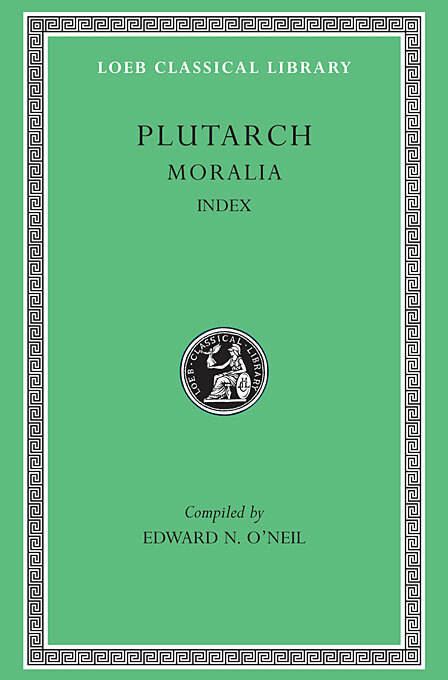 Whether advising about marriage and education, discussing prophecy, divine providence, and life after death, setting forth rules for politicians, or commenting on personal virtues and vices, his moral essays reveal not just Plutarch’s thinking but also the world in which he lived. Edward O’Neil’s thorough index provides an invaluable roadmap for tracking the wealth of information and wisdom to be found in them.